by William J. Tighe, Ph.D.
briefly, confining myself, so far as possible, to the American scene. some 2,365,000 members in some 7,390 congregations (parishes). to break with the Episcopal Church or its bishops. new membership and congregations from non-Episcopalian sources. participate in the acts of consecration and endorsed the consecrations. George D. Langberg, Bishop of the Northeast, as Falk’s successor. liturgical and sacramental orientation it is worth mentioning in this paper. Catholicism of one of the original CEC bishops (Randolph Sly). Superb, Prof. Tighe — but then, I would have expected no less and no other from you. And many thanks to Dr. Hutchens for posting this. I now have something to share widely with non-Anglican friends to explain accurately, in as brief a compass as possible, the current eecclesiastical (dis-)organization of Anglicanism in the USA. It would be interesting to know, Prof. Tighe! And I thought keeping track of the Orthodox was complicated! The Orthodox Church may be complicated juristictionally, but at least its major groups (under SCOBA) are in communion with each other and see themselves as all part of one church. During the Episcopal General Convention of 2003, my husband and I (who were Episcopalians at the time) were on a trip to Denver. That Sunday,dismayed at the GCs actions, we visited a “continuing Anglican” parish (Anglican Province of Christ the King.) We realized that we could not join a splinter of a splinter and decided that we had to seriouly look at becoming Orthodox. (We had been “flirting” with Orthodoxy for several years.) We were chrismated the following spring and our only regret is that we didn’t do it sooner. Thank you Prof. Tighe for objectively explaining all the various splinters. Boy, you definitely can’t tell the players without a program. I sure the Archbishop and the Vatican also received accompanying flow charts, maps, and a handy acronym reference sheet. This would also make a good reference for anyone wondering about the reasons for the popularity of the non-denominational movement. For the inordinately curious (or those who like alphabet soup), here is a list of 36 Anglican “Continuing Church” jurisdictions (taken from the 2005-2006 edition of the “Directory of Traditional Anglican & Episcopal Parishes”, available from the Fellowship of Concerned Churchmen, andthe web site listed below.) This does not imply endorsement of any of them. (Full disclosure: I am canonically a member of the EMC under Bp. Millsaps.) Many have their own web sites (marked * before the acronym, as of early 2005). The list does not include the REC, AMiA, or CEC mentioned by Prof. Tighe, as those are strictly speaking not “Continuing Churches” but have separate origins. Most of these groups are Anglo-Catholic to militantly Anglo-Papalist in orientation; a few (mostly in the South) are as militantly Protestant. Some apparently consist of exactly one parish. Since his is a summary report, Prof. Tighe of course does not go into minutiae about various figures, such as the amazingly chequered career of former “Bp.” Anthony Clavier, or the Continuing Church jurisdiction whose entire hierarchy of bishops and virtually all of its priests are divorced and remarried men with previous spouses still living. As Prof. Tighe indicated, many of these groups have repeatedly merged with and split from one another, and renamed or otherwise reinvented themselves. Rome is of course entirely right to approach all of this with great circumspection, alas. All in all, a scandal rather than a witness to Christ, as are all the unhappy divisions of Christendom. One little correction. The CEEC is no more Anglican in orientation or “formal profession” than the CEC. Rather, is was formed by those elements in the “Convergence Movement” who could not accept the CEC’s absolute prohibition of ordination of women to the episcopate, priesthood or diaconate, and it leaves such “ordinations” to the discretion of each of its bishops. What do you do when a couple of guys show up at your door dressed as bishops, claiming valid orders and jurisdiction over a functioning body of laity and clergy and requesting to be received corporately into the Catholic Church on their own terms? I suppose you offer them a cup of coffee, chat with them for a while and if you think they might be credible people you ask someone who knows something about them to write up a memo. It is hard to see how the Vatican could possibly take any of these groups seriously. Most of these groups are smaller than a large urban parish. As for the credibility of their leadership…. >>>What do you do when a couple of guys show up at your door dressed as bishops, claiming valid orders and jurisdiction over a functioning body of laity and clergy and requesting to be received corporately into the Catholic Church on their own terms?<<< Isn't that how the Evangelical Orthodox Mission became the better half of the Antiochian Orthodox Archdiocese of America? By the way, I see that another parish in Northern Virginia has bolted after being unable to reach an agreement with Bishop Lee for alternative jurisdiction. Rather than fight the bishop over parish property, they simply disbanded themselves and turned the property back to the bishop--complete with a $432,000 mortgage. Tuition will be going uo at Episcopal Day Schools across Northern Virginia next year. Many thanks for your corrections and further comments. There was no listing for the “Anglican Rite Synod of America”, hence its absence. But (to fill its place perversely, perhaps? ), there is a web site attacking the ongoing merger of the REC and APA, with shrill denunciations of “popery” and “Marianism” and what-not. Yes, some of the groups fit your description and should be so treated. But others, though small, are composed of faithful and serious Christians pursuing a very noble endeavor — what my own rector recently referred to as the classical Anglican way’s “peculiar genius for making saints of sinners” [peculiar in the sense of distinctive, not in the sense of odd] — and deserve better and more seious consideration. It is too easy to be dismissive or contemptuous of apparently eccentric small groups — such as one composed of twelve fishermen and tax collectors following an itinerant preacher. . . . It is possible that in God’s providnece, the time for the Anglican way as a distinctive expression of the Christian faith has come and gone. But as one for whom that way has (in the Psalmist’s image) entered like oil into my bones, I pray not. An expression of the Christian faith that has produced such works of genius as the classical Book of Common Prayer (BCP) and the King James Bible, or saints such as Lancelot Andrewes, Jeremy Taylor, William Law, Edward Pusey, and Eric Mascall, is not to be dismissed or discarded lightly. God willing, the initiatives taken by both Rome and Orthodoxy to find a place for that inheritance within their own ranks will develop further and contribute toward the visible reunion of Christendom. My point in saying this is that liturgy (even in certain far less structured Protestant forms, which are in fact liturgical whether their adherents realize it or not) is one of the most powerful means for shaping souls spiritually. Given the diversity of human natures and souls, each classical liturgical form (Roman, Orthodox, Anglican, etc.) has arisen and flourished because it has a distinctive spiritual genius for sustaining and nourishing souls. So long as the basic form and content of the liturgy is orthodox, the church should do its utmost to preserve and encourage each as a means toward salvation for those to whom it is peculiarly fitted. Whether one looks at the Catholic recusants in 16th c. Europe, the Old Believers in 17th c. Russia, or classical Anglicans and Tridentine RCs today, untold misery and injury to the faith is wrought when self-styled professional liturgists take it in hand to force their particular theories and forms of liturgy down other peoples’ throats. Well said, James. I am in one of those small groups, the ACC. I am sorry that it is small, but that doesn’t detract from the greatness of the liturgy, the beauty of the Book of Common Prayer, or the wisdom and holiness of the bishops and priests. I just pray that there will be unity among Anglicans in the future. >>>Whether one looks at the Catholic recusants in 16th c. Europe, the Old Believers in 17th c. Russia, or classical Anglicans and Tridentine RCs today, untold misery and injury to the faith is wrought when self-styled professional liturgists take it in hand to force their particular theories and forms of liturgy down other peoples’ throats.<<< Leaving aside the Catholic recusants, who it seems to me belong in a different category from the Old Believers, classic Anglicans and the Tridentine Catholics, these liturgical controversies are in fact not about liturgy at all, and the liturgists in question are not really focused on arcane points of ritual or in recovery of the authentic Tradition. Rather, recognizing the essential truth of lex orandi lex credendi, they make liturgy the "privileged space" in which they pursue a broader agenda. In the case of the Nikonian reforms, that agenda was overtly political: Tsar Alexei and Patriarch Nikon wished to displace Constantinople as the center of the Orthodox world, and so sought to bring Russian usage into line with the Greek so as to avoid divergences in an era when ritual uniformity was seen as a mark of orthodoxy. With the Anglicans and the Tridentine, the agendas are more social than political. In both cases, liturgical elites reflecting the values of the academic world in which they flourish, are attempting to reconcile the Church to the modern world, to make the Church "of" as well as "in" the world. To the extent that they are able to interject the contemporary worldview into the liturgy, which is supposed to transcend time, they can slowly redirect the Church into the secular stream of consciousness. This is accomplished in many different ways, from dumbing down the language of the liturgy, eliminating ambiguities in favor of didactic statements of the liturgist's own belief, suppression of traditional modes of expression and piety, and an overall effort to "de-mystify" something which is above all else a mystical experience. The modern world has great difficulties with Christian mysticism, though it wholeheartedly accepts all sorts of illogical supersition that goes under the rubric of "spirituality" and "mysticism". Despite publication of the Anglican Rite Service book, the attitude of almost all of the Roman hierarchy toward an “Anglican” rite within the RC church in the USA has been one of utter indifference or overt hostility, similar to that encountered by some RCs desiring availability of the Tridentine Mass. (It didn’t help recently that the bishop originally appointed to oversee it was Cardinal Law.) Indeed, the book reflects this, in that the putative RC Anglican Rite is a mish-mash of Rite I and Rite II from the (fraudulently titled) 1979 “Book of Common Prayer” with the Novus Ordo. It has no integrity as a rite whatsoever, and lends new dimensions to the concept of “cafeteria catholic.” The general (patronizing) attitude (shared by some laity as well) among the RC hierarchy in the USA toward the Anglican Rite is that it should only be a temporary sop until such pathetic pseudo-catholic Anglican converts can grow up enough to become REAL RCs and attend a real RC liturgy (i.e., the Novus Ordo, which is of course a decidedly unreal liturgy, as too many longsuffering orthodox RC faithful can testify). The Anglican Rite Service book was also a terrible botch because, by drawing on the 1979 book instead of the authentic classical 1928 BCP (as set in the Anglican and American Missals), Rome lost its best chance at attracting stalwartly orthodox Anglican Catholics to its fold. (Of course, some of the Roman hierarchy doesn’t want more of such Catholics, alas….) But then, the folks who produced the Novus Ordo and the 1979 BCP are peas from the same liturgical pod. In the realm of “this would be amusing if it wasn’t so viciously stupid” there is a British eccentric — a Tridentine Latin Mass advocate of the “all Protestants will burn in Hell” stripe — who writes books and articles claiming that Vatican II was inspired by and modeled upon Thomas Cranmer and the classical BCP! The fate of the AOC Western Rite is less clear. The AOC hierarchy firmly supports it, but the number of WR parishes is still very small, and those EO laity who retain a reflexive hostility to all things Western (a considerable number, alas) refuse to regard anyone who uses a Western Rite as Orthodox. (And some Western RCs repay the compliment in kind to their Byzantine Rite brethren.) It is one of the issues on the table in talks between the various canonical Orthodox bodies in this country aimed at visible reunion. In my own limited experience (in Fort Worth, TX) I have seen some former episcopal priests with very successful ministries in mainstream RC parishes. They are serving novus ordo, but (to steal a line from one of them) they sing Ave Maria instead of Kum Ba Ya. People like it, and their churches are thriving. One of them has even taken a leadership role in the diocese. As for the Western Rite in the Antiochian Orthodox Archdiocese, we’re getting stronger all the time! If they are in regular Novus Ordo RC parishes, I assume that all of those reordained former Anglican priests are celibates. I would be interested in hearing of any exceptions to that rule — particularly if one is a rector instead of a curate. I wish them well. They’re married. I’ve heard it said that the two best catholic priests in Fort Worth are married. One, as I mentioned has a diocesan level leadership position (I don’t know if he still serves as parish), but both of them are (or were) rectors. Maybe North Texas is a good place for former anglicans- WR orthodox do well there, too. It may just be about supply and demand. How picky can the RC hierarchy be if they need priests? I believe the “eccentric” to whom you refer was the late Michael Davies. I do not think he maintained that “all Protestants will burn in Hell”, though he was an opponent of Vatican II’s declaration on religious liberty who believed that in a Catholic state Protestants should live under the same restrictions imposed on them in Franco Spain – a view with which I disagree. A much better example of the sort of thing you criticise is the recent article in LATIN MASS magazine (can’t remember date or author’s name) which denounced the idea of a permanent Anglican Use Uniate rite purely on the grounds of its historical associations – a view which IMHO is right down there with Archbishop Ireland’s mistreatment of Eastern Rite Catholics. Michael Davies was indeed who I had in mind. While you know about him than I do, Hibernicus, his book and articles were larded with all sorts of bigoted invective not substantially different from the recent Latin Mass article you cite. I find this a bit oddly stated. Evangelical Anglicans desire not just the omission of “many of the ritual elements of the Tridentine Rite” from the BCP but rejection of the Mass altogether. Just omitting certain ritual would not be enough (it could signify such rejection, but does not do so necessarily), which is part of what makes Davies’ argument so absurd. Another issue is that while Cranmer was the primary author/compiler of the original 1549 & 1552 BCPs, unlike with the major Continental Reformers it was not left to him as such to determine the meaning and signification of those rites. That instead was the result of a long historical process, and within historical mainstream Anglicanism even the majoritarian Low Church party seldom inclined to the extreme of Cranmer’s later views on the Eucharist. (Though I would dispute Diarmaid McCulloch’s assertions that Cranmer in effect became a Zwinglian on this point.) Of course, one of the peculiarities of Anglicanism is that, lacking a single magisterial Reformer as a systematic theologian in doctrine as opposed to liturgy, it never attained a single authoritative consensus in the interpretation of the eucharistic doctrine of the BCP, but (in the general spirit of the 39 Articles) left room for a wide but not unbounded diversity of views. This is a helpful summary…but it needs to be updated regarding the AMiA. They don’t directly (via the AMerican bihsops) ordain women to the priesthood…but they will provide for it. Kolini, from the Rwanda, has asked them to alter their structures so that they are able to provide for the ordination of women. They are doing it…and women can be ordained to the priesthood via Rwanda. In the news this morning, two of the largest conservative parishes in the Episcopal Diocese of Virginia, the Falls Church and Truro parishes, have completed a 40-day period of reflection on the state of their relationship with the ECUSA. At this point, the vestries of both parishes will now draw up a series of options for the members of the parishes, which some time in December will decide whether to sever their connection with the diocese, and if so, what their future relationship will be with the rest of the Anglican communion. These are not only conservative parishes, they are among the largest and richest in Virginia. If they cede from the diocese, or worse, from the ECUSA altogether, it would be a serious blow to the prestige and finances of the diocese and the ECUSA generally. >>>They’re married. I’ve heard it said that the two best catholic priests in Fort Worth are married. One, as I mentioned has a diocesan level leadership position (I don’t know if he still serves as parish), but both of them are (or were) rectors. Maybe North Texas is a good place for former anglicans- WR orthodox do well there, too.<<< It is with a deep sense of irony that I note there are presently more married priests of the Latin rite in the United States (I think the number is around 80) than there are married Eastern Catholic priests in all our jurisdictions combined. To think that in 1896, Bishop John Ireland's refusal to grant faculties to Fr. Alexis Toth resulted in a schism in the Ruthenian Church that caused more than 250,000 of its members to enter the Russian Orthodox Orthodox Mission in North America (now the OCA). 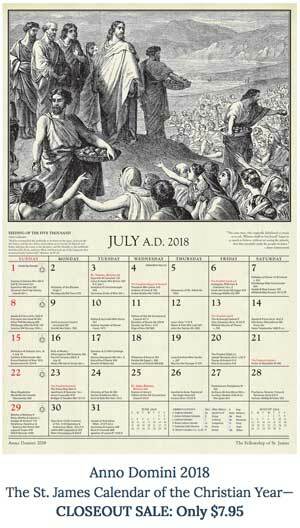 Not content with one attempt at ecclesiacide, the Latin bishops in the U.S. did it again in 1930 by getting Rome to suppress the married priesthood. This time, more than 80,000 Ruthenian Catholics left to form the Carpatho-Rusyn Greek Catholic Orthodox Diocese of Johnstown. And now, the best priests in the Latin Church are. . . married! Who'da thunk it? In the meanwhile, we still can't get the Latin bishops in this country to emulate their Australian peers by issuing a statement saying that the married priesthood is integral to the Eastern Churches, and that they have no objection to our ordaining married men to that office. Sheesh! What is your basis for making the claim that, ABp Kolini “has asked them to alter their structures so that they are able to provide for the ordination of women. They are doing it. . .”? There is nothing in the press release you referenced to indicate this is the case. Kathy King was one of two female priests who affiliated with AMiA from the beginning. As such, her call to Canada really is nothing new, it’s something that was provided for in the AMiA since the beginning. The other woman has left active ministry to pursue graduate studies (at least that is my understanding). In addition, as Bp Murphy indicates in the press release, ACiC is a separate body from AMiA. The subject of women’s ordination to the priesthood came up at this past winter conference and I was told in no uncertain terms by one of our bishops that there are no plans to change our current policy. So, if you’ve got a source that says otherwise, I’d like to see it. The convergence movement with the CEC and the CEEC also now facing divisions by divisions and may loosing their faith and practices of the original catholic anglican tradition. The comments on the Falk schism are somewhat inaccurate. He and a minority of the college of bishops of the ACC desperately wanted to come into communion with Klavier and his church. The college of bishops voted not to enter into communion with this group. Falk and two other bishops then acted unilaterally to effect the communion and they were then self excommunicated when they allowed themselves to be conditionally reconsecrated knowing full well that the orders bestowed on the Anglican Catholic Church by Bishop Albert Chambers are without doubt valid by anyone’s standards. They lost all title to provincial property of the ACC and had to forfeit any claim to the name and trade marks of the Anglican Catholic Church. I must give you guys credit: you make Orthodox jurisdictional disputes look positively straightforward. I have absolutely no brief for Archbp. Falk, and have never been a member of either the ACA or the ACC. But the ACC attempt to “depose” him was a Stalinist show trial that degenerated into pure farce (for which the Marx brothers could have written the script), as related in detail in “The Christian Challenge”. Full disclosure: Auburn Traycik, editor and sole full-time employee of the “Challenge”, is an ally of Falk, so I’m sure that it’s not an unbiased account either. But is even half of the factual details in the article are true, it’s pretty damning. It began with the ACC not being able to get a quorum of bishops together to hold a legal trial, and ended when the stenographer hired for half a day left, leaving no one authorized to make a legal record of the proceedings and forcing their cancellation! And the ACC resort to litigation against the ACA in the face of I Cor. 6 speaks volumes as well. Stuart’s observation is, alas, all too often justified. >>>Stuart’s observation is, alas, all too often justified.<<< Like trying to differentiate among the different Jewish resistance groups in Monty Python's "Life of Bryan": BRIAN: Are you the Judean People's Front? REG: F--- off! BRIAN: What? REG: Judean People's Front. We're the People's Front of Judea! Judean People's Front. Cawk. FRANCIS: Wankers. BRIAN: Can I... join your group? REG: No. Piss off. BRIAN: I didn't want to sell this stuff. It's only a job. I hate the Romans as much as anybody. PEOPLE'S FRONT OF JUDEA: Shhhh. Shhhh. Shhh. Shh. Shhhh. REG: Schtum. JUDITH: Are you sure? BRIAN: Oh, dead sure. I hate the Romans already. REG: Listen. If you really wanted to join the P.F.J., you'd have to really hate the Romans. BRIAN: I do! REG: Oh, yeah? How much? BRIAN: A lot! REG: Right. You're in. Listen. The only people we hate more than the Romans are the f---ing Judean People's Front. P.F.J. : Yeah... JUDITH: Splitters. P.F.J. : Splitters... FRANCIS: And the Judean Popular People's Front. P.F.J. : Yeah. Oh, yeah. Splitters. Splitters... LORETTA: And the People's Front of Judea. P.F.J. : Yeah. Splitters. Splitters... REG: What? LORETTA: The People's Front of Judea. Splitters. REG: We're the People's Front of Judea! LORETTA: Oh. I thought we were the Popular Front. REG: People's Front! C-huh. FRANCIS: Whatever happened to the Popular Front, Reg? REG: He's over there. P.F.J. : Splitter! This site seems to have a few “fifth columnists” and “agent provocateurs” as well as people who like to use exclamation points and quotation marks to cast aspersions. 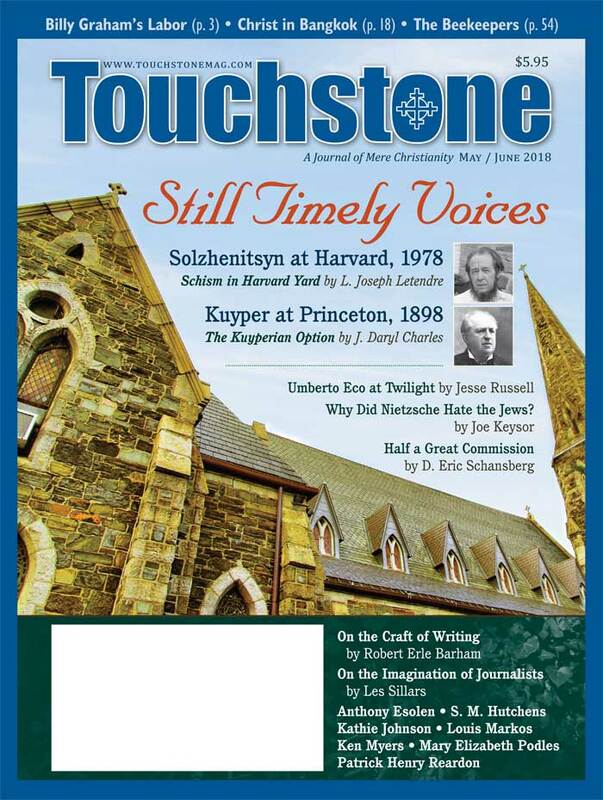 I mistakenly thought this was a site that was sponsored by “Touchstone” magazine. My apologies. In reference to the ICCEC article, it is clear that the ICCEC is on it’s way out. I was deeply involved in it with a family member who was a priest in the ICCEC. Even he became corrupt. We still pray for him. My whole family has been affected by the corruption and greed of the ICCEC. I personally lost thousands of dollars. Now, I don’t want anything to do with denominations. I still have a close walk with God, but I can’t get close to people in churches. We need reconciliation even at this juncture. Otherwise we will face tremendous divisions and even unhealthy competition between the church groups which may confuse the gentiles to join the Church. The so called Primates of the Churches must set their minds for real ecumenism and somebody must have to initiate to bell the cat. Given the current news on possible ties between Rome and Traditional Anglican Communion, I think we need to be clear about ACA. Tighe writes “Anglican Church of America”, but I believe the US subsidiary of TAC is “Anglican Church in America” — the name used by a commenter above.